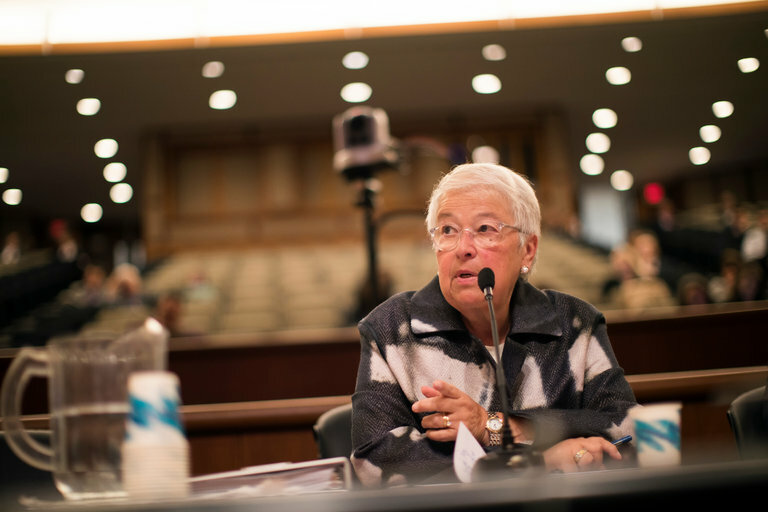 New York City schools Chancellor Carmen Fariña was in Albany for two days this week, updating the State Legislature on the progress of the city’s public school system. 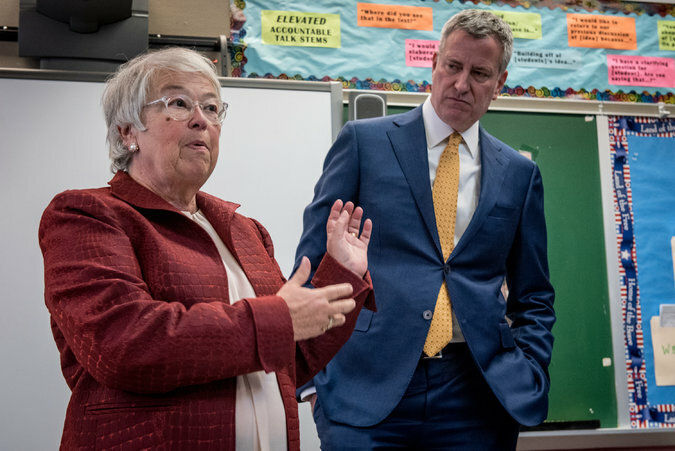 The meetings offered a preview of the debate over mayoral control, which puts power over the schools in the hands of City Hall, and which Mayor Bill de Blasio — in what has become an annual ritual — must persuade the state to renew. During Mr. de Blasio’s tenure, the negotiations have not gone well for him. While his predecessor, Michael R. Bloomberg, was granted lengthy periods of mayoral control — seven years in 2002 and then a six-year extension in 2009 — Mr. de Blasio has had to fight for one-year extensions. The debate became so tense last year that Mr. de Blasio skipped a hearing on the issue held just opposite City Hall in Lower Manhattan and sent Ms. Fariña in his stead. At one point during the hearings, she suggested that appearing before the Legislature was a diversion from the business of running the schools. At its core, the mayoral control debate is largely about politics. But it has not helped in making the public case for a longer extension that Mr. de Blasio’s record on education is so far fairly modest. And after 12 years of Mr. Bloomberg’s education policies, New York is, for better or worse, accustomed to a mayor who thinks very, very big on education. Mr. de Blasio’s biggest education initiative, and his biggest success, has been the rollout of free, universal prekindergarten for 4-year-olds. Given its size, the expansion went smoothly — though there have been some areas where children have not been able to get seats close to home — and observers say the quality of the program is generally good. With his re-election campaign on the horizon, Mr. de Blasio recently announced a further expansion, which would offer free pre-K to all 3-year-olds by 2021 — but the funding plan remains unknown. The other major initiative, the Renewal School program, is Mr. de Blasio’s effort to turn around the city’s most troubled schools. The initiative, which has so far cost $386 million, centers on equipping schools with resources to better deal with students’ needs outside of the classroom, such as medical and mental health services. But many parents were reluctant to enroll their children into schools publicly branded as struggling institutions. Results of the program have been mixed. Beyond those big-ticket items, Ms. Fariña has largely relied on smaller, targeted efforts: A literacy program focuses on getting students to read on grade level by the end of second grade. A college awareness program for middle schools encourages children to build higher education into their expectations. And initiatives like Algebra for All and AP for All aim to give more students access to higher-level classes. Josh Wallack, a deputy chancellor for strategy and policy at the city’s Education Department, said that these policies and others, taken together, create a comprehensive improvement strategy for the entire system. Under Mr. de Blasio, graduation rates and test scores have continued to rise. The department said that last year there was an 8 percent increase over the year before in students taking and passing at least one Advanced Placement exam. But others see scattered individual efforts in a vast system of 1.1 million students. “I don’t think we’ve seen a grand vision,” said Leslie Santee Siskin, a research associate professor at New York University who focuses on high schools. “De Blasio has not been as visible on education, nor has he made education as visible on his agenda” as Mr. Bloomberg did, she said. Ms. Siskin said that Mr. de Blasio did deserve credit for continuing the progress made under Mr. Bloomberg, as such momentum is easily lost, especially when leadership changes hands. One sticking point in the mayoral control debate is charter schools, which Republicans, who control the Senate, tend to support. Mr. Bloomberg actively promoted the growth of charters, while Mr. de Blasio has had an adversarial relationship with some of the sector’s biggest players, like Success Academy. John J. Flanagan, the State Senate majority leader, said on Monday that the Senate would look at the needs of charter schools when considering mayoral control. This year, the de Blasio administration has said that it is again seeking a multiyear extension. That may not be a likely outcome, but nobody appears to be in favor of going back to the old system, in which the schools were run by the board of education. Mayors were required to fund an organization over which they had no control, which encouraged them to send as little money as possible, and there was little accountability in the system. Catherine Nolan, a Democratic Assemblywoman for Queens and a strong supporter of Ms. Fariña, disagreed that the administration’s approach lacked sweep. “That is a positive in my opinion,” Ms. Nolan said. When touring a school with the chancellor, she added later, “you’re practically under the tables” inspecting the details.